These days it’s commonplace for employees to bring personal mobile devices to work, expecting to get all kinds of business done on-the-go, and this can be both a blessing and a challenge to IT managers. The importance of keeping mobile devices and data secure is as essential as ever. Starting today, comprehensive mobile device management is available at no extra charge to Google Apps for Business, Government and Education users. 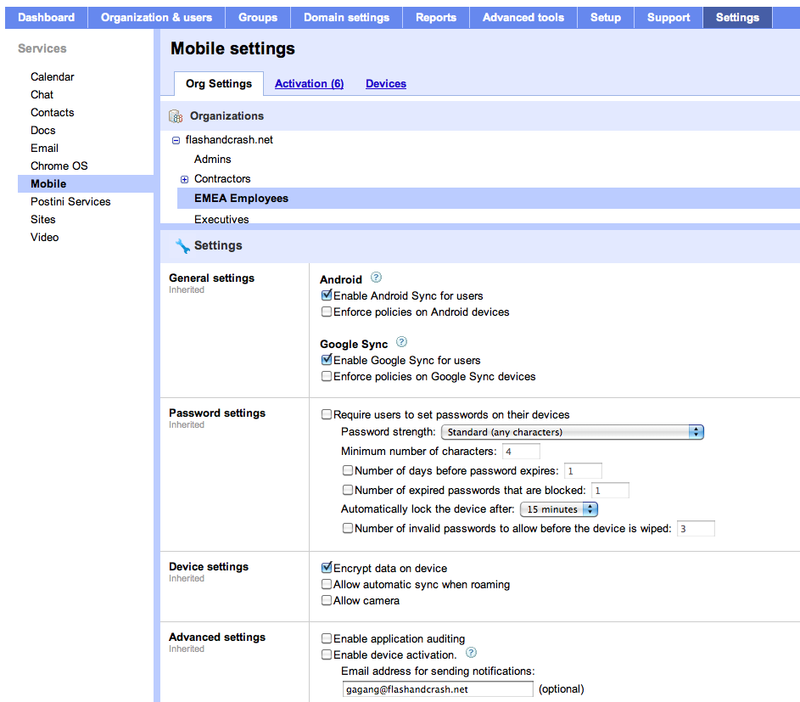 Organizations large and small can manage Android, iOS and Windows Mobile devices right from the Google Apps control panel, with no special hardware or software to manage. In addition to our existing mobile management capabilities, IT administrators can now see a holistic overview of all mobile devices that are syncing with Google Apps, and revoke access to individual devices as needed. Organizations can also now define mobile policies such as password requirements and roaming sync preferences on a granular basis by user group. Also available today, administrators have the ability to gain insights into mobile productivity within their organizations, complete with trends and analytics. Finally, we’re also updating the Google Apps Device Policy app for Android. The new version provides users with more transparency about information available to administrators, and includes support for Android 4.0, Ice Cream Sandwich. These new mobile management features will roll out for customers on the Rapid Release track starting today, and will be coming to Scheduled Release customers in a matter of weeks. We invite you to explore our help center for more details.